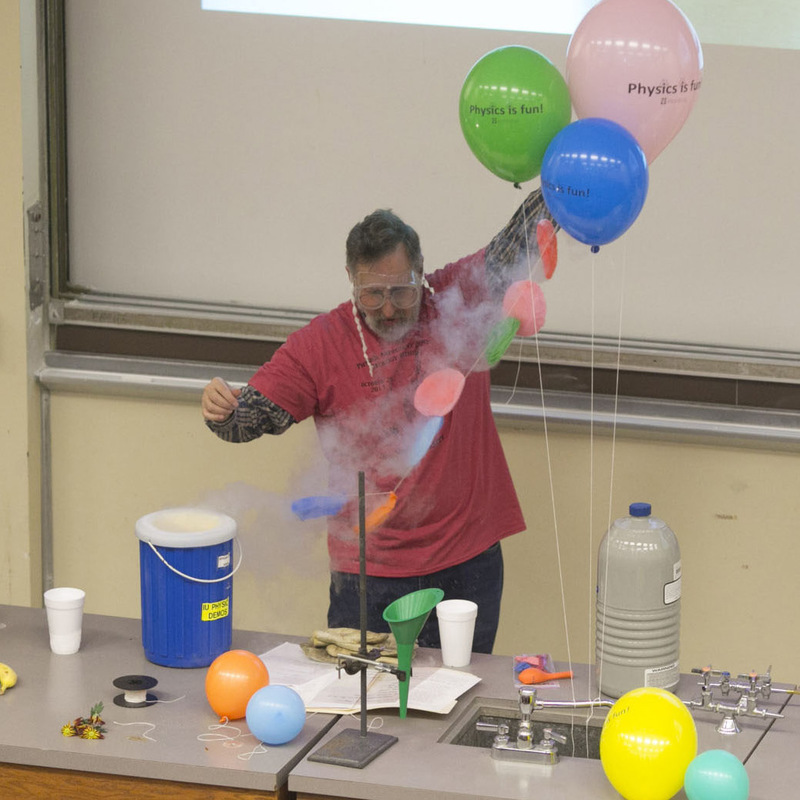 IU actively advances STEM literacy through a variety of K-12 outreach programs. Our faculty and students are engaged in teacher education and sharing their science with the broader community. Using fun, hands-on projects to introduce basic concepts related to the scientific method, such as forming hypothesis, making observations, and conducting experiments, these projects focus on plant and animal diversity. Focuses on topics that follow the Indiana Academy standards for third grade; topics include soils, plant growth, and plant structures, and these experiences often culminate in the students starting their own vegetable or native plant garden at the end of the school year. Designed for biology teachers to learn about ongoing research in the Indiana University Department of Biology and to work with faculty to design activities that can be used in their classrooms. Provides educational resources in insect biology and evolutionary developmental biology to the greater community year around. Public lectures, presentations at local school fairs, assistance in extracurricular science education efforts, and generation of educational materials such as insect- or skull collections for local and regional schools are among the resource offered. The Moczek laboratory is available for visits by classes or youth groups, and is happy to come visit your group and provide hands-on introductions into the amazing world of horned beetle biology and beyond. Contact armin@indiana.edu to learn more! Are you looking for an educational opportunity that will meet all of your students' needs, add new science activities to your lesson book, and make your classroom even more fun? Then check out Science Olympiad! The Science Olympiad is an exciting, hands-on science competition for middle and high school students. More than 30 events cover all the science disciplines (including math), and many require teamwork and cooperation. For example, the event called "Egg-O-Naut" students will construct rockets designed to carry a raw Grade A large chicken egg, stay aloft the greatest amount of time and return to earth without breaking the egg. Other events involve: solving a mysterious crime using qualitative analysis, water testing, and fingerprint analysis; designing and building the most efficient bridge; and demonstrating knowledge of anatomy and physiology. With more than 30 events, your students will certainly be challenged to learn many science concepts in a variety of disciplines and have fun doing it! In the true spirit of the Olympics, individual winners in each event are awarded Olympic-style medals. But teamwork is also very important: only teams (not individuals) earn the right to advance to the state tournament. Indiana schools are invited and encouraged to join Science Olympiad by fielding a team of up to 15 students to compete in one of the 9 Indiana regional tournaments. For membership information go to the Indiana Science Olympiad website. Who Can Compete in Science Olympiad? This nationally recognized academic competition champions teamwork and ignites student excitement for learning science. Indiana middle and high schools can field teams to compete in individual and team events requiring knowledge of science concepts, processes, and applications. Regional winners advance to the state tournament often held on the IU Bloomington campus. For state tournament Information, visit our tournament website. Contact the department or unit you need directly.